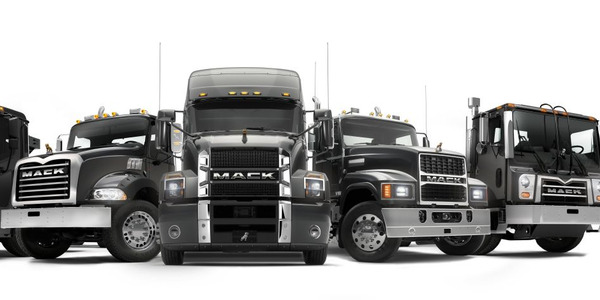 The Merry Mixer is a 2019 Kenworth T800 McNeilus Bridgemaster ready mix truck. 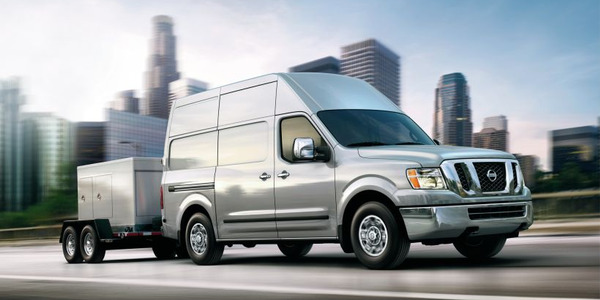 This truck runs on compressed natural gas (CNG) and releases 40% less CO2 than diesel. 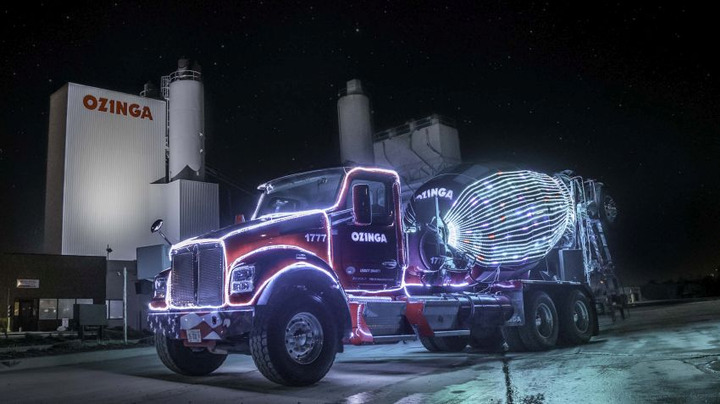 For the second year in a row, Ozinga is bringing joy to people throughout the Chicagoland area this holiday season with the Ozinga Merry Mixer, its signature red and white striped ready mix truck adorned with more than 20,000 programmed LED lights. This display features animated light sequences set to popular Christmas tunes. 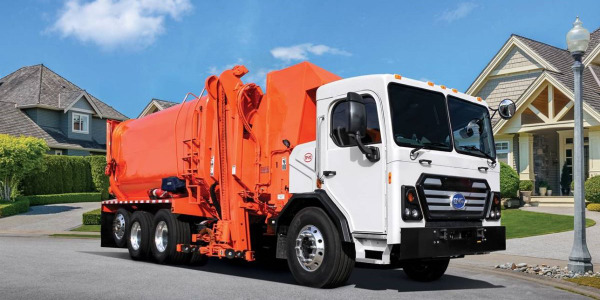 The Merry Mixer is a 2019 Kenworth T800 McNeilus Bridgemaster ready mix truck, which runs on compressed natural gas (CNG) and releases 40% less CO2 than diesel. 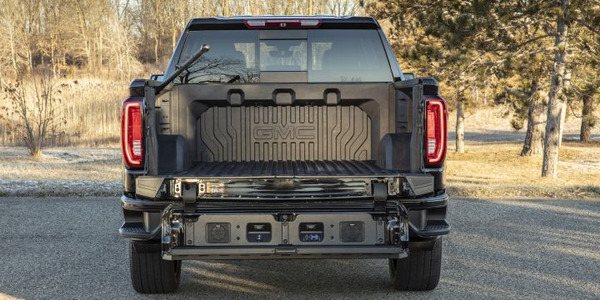 In addition, the Merry Mixer is fitted with custom-fabricating speaker brackets mounted on the back fenders. More than 100 feet of speaker cable is used to connect two JBL outdoor speakers that deliver 250 watts of power each. The sound system is fully controlled by the driver in the cab. Last year, the Ozinga Merry Mixer debuted on Nov. 18 at the Mokena Parade of Lights and made its way to twenty-two holiday celebrations, including being featured on the WGN Morning News Toy Drive and ABC7’s Great Chicago Light Fight. In addition, the Merry Mixer arrived at Comer Children’s Hospital in Chicago with coloring books and toy mixer trucks for the patients. Some patients were able to sit in the lobby while the Merry Mixer ran its almost 30-minute display on the street outside for them to see. 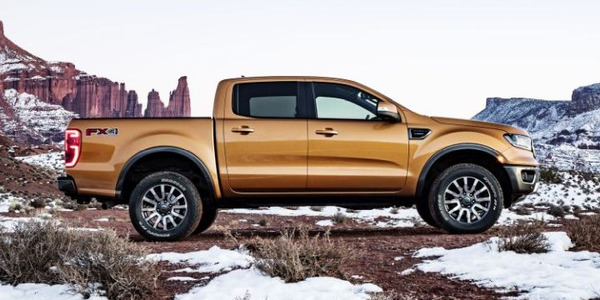 Ford has begun offering a fleet incentive for its 2019 Ranger midsize pickup on two of the three trim grades, according to Ford. 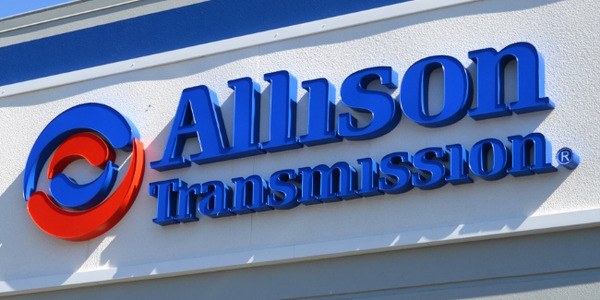 Allison is growing its stake in commercial vehicle electrification with the purchase of Vantage Power and of the electric vehicle systems division of AxleTech. 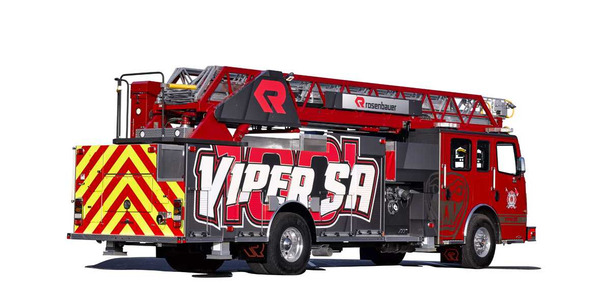 Rosenbauer America’s new Viper SA fire truck will be equipped with Meritor’s high-strength RS180 series single-reduction rear axle. 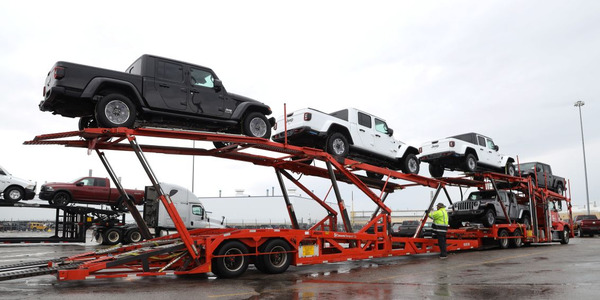 The 2020 Jeep Gladiator midsize pickup began shipping to U.S. dealers from its home at the Toledo Assembly Complex on April 12, FCA US has announced. 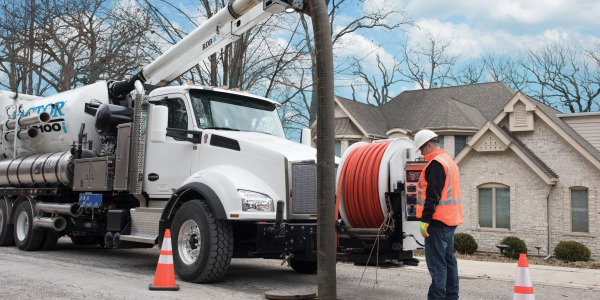 The company invested $273 million to retool and modernize the Ohio plant for Gladiator production and added 329 full-time positions to support the build. 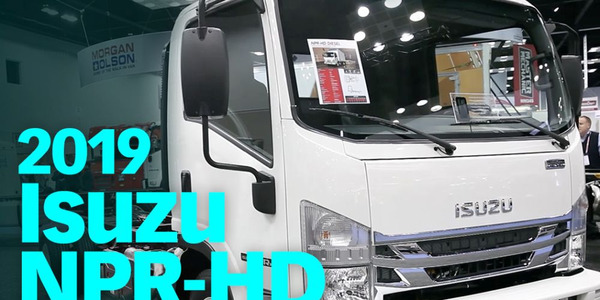 Work Truck magazine receieved an in-depth walkaround of the Isuzu 2019 NPR-HD Class 4 cabover at The Work Truck Show 2019.